For a long time, I was not a big fan of winter, to put it lightly. 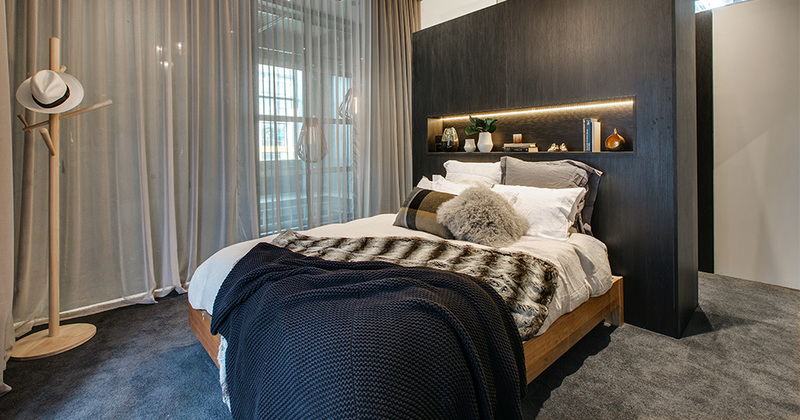 The mere thought of its onset would reduce me to shivers but something in me shifted about 7 years ago (possibly age), writes Interior Consultant and The Block TV personality, Carlene Duffy. I now welcome the first sign of a chill in the air and the reprieve from our insufferably hot summers. I love winter now for the opportunity to layer with my wardrobe and even more so for the excuse to layer my home interior style. When it comes to decorating your home, your unwavering motivation should be about injecting warmth, personality, and creating a sense of home and if you have ever been tempted to give your light and bright home some sass, sophistication, mood and mystique, now is the time to do it. When I think of the ultimate winter interior, I think of deep, regal hues, such as aubergine, emerald green, scarlet, crimson, and navy. When done right, they will always make an impact for the right reasons. In terms of this year’s winter, earthier hues such as olive, terracotta and mustard have made a big mark. If you are ready to get out the paint brush, navy, ink, peacock, petrol blue and charcoal are no-fail colours on the walls - but be a diligent paint-shopper and buy your samples first. If opting for a safer charcoal, look at warm versions of the colour rather than steely/bluey charcoals of seasons past. Once you have chosen your deep hue, be brave and paint all four walls of your room. If you are transforming an open plan area, you could get away with doing a feature wall. But choose your wall carefully, because in some contexts, feature walls can appear dated. If you do a feature wall it needs to be because the wall absolutely demands it, and not because you are too scared to paint the whole room. 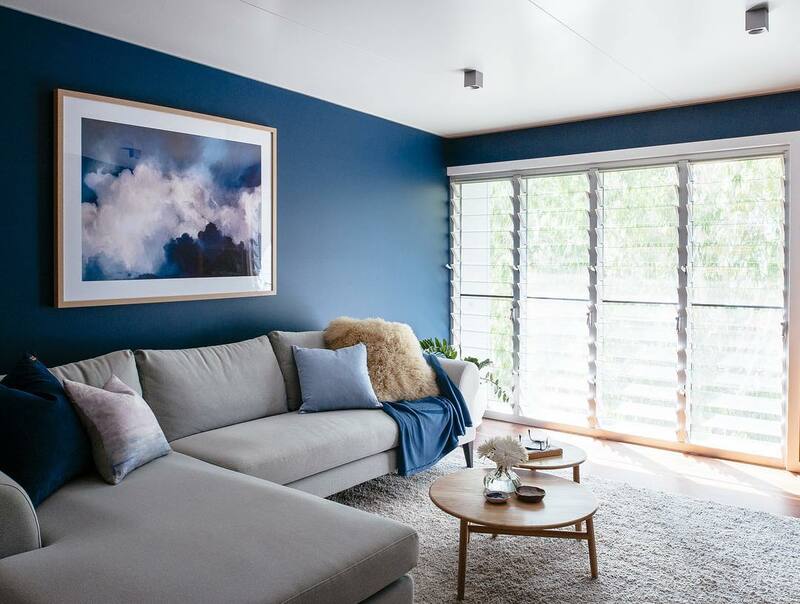 If you are tempted to warm up those white walls but simply cannot bring yourself to paint with a deep colour, consider a warm, mid grey or even a greige (beige/grey) like Dulux Aura. If you are unsure what you want out of the room, simply choose a wallpaper you LOVE and let it be your guide for the rest of the room. Anyone with timber flooring in their home already has a head start in warming up their space because timber, being a natural product, does that organically. With a concrete or tiled floor then you need to work much harder at softening and warming - it’s usually these homes that demand a rug not only in the living room but also under the dining table. And if you have anything other than carpet in your bedroom, a rug is certainly called for under the bed too. A 1.6x2.3 rug is known as the ‘standard’ rug. 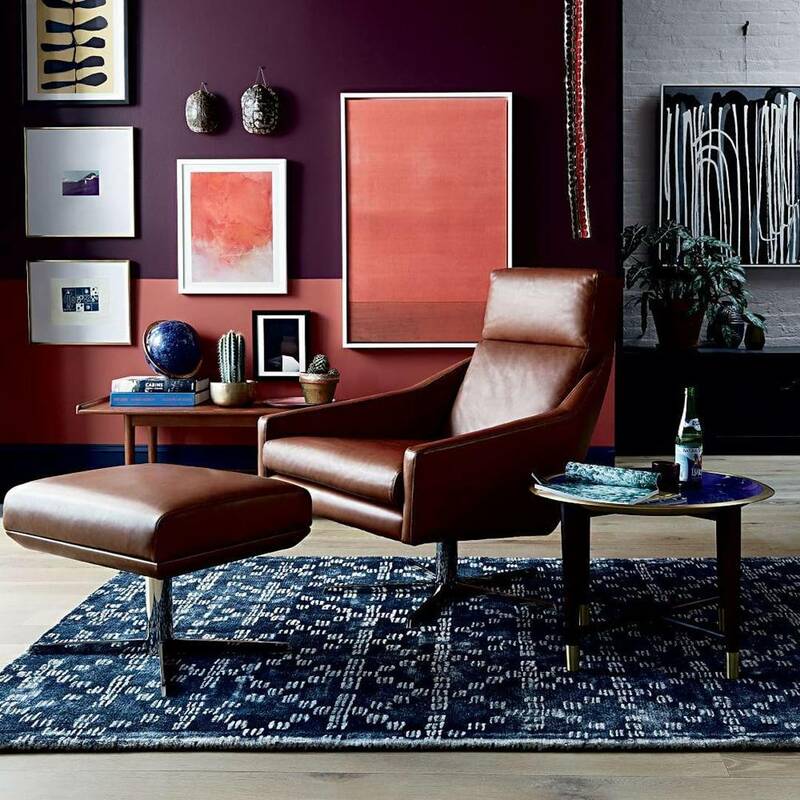 A rug this size generally means your sofa and armchairs are sitting a few inches away from the rug and while at design school they will tell you that this is perfectly acceptable, I always think why wouldn’t you want to have your feet on your rug while sitting on your sofa? Invest in a rug that is large enough for all your furniture to sit on. It is more effective at creating a zone and the result is a warmer and more welcoming interior. As for the weave and material of a rug, I am a big advocate of shaggy, plush, high pile and wool (although it’s less durable than synthetic fibres) year round, especially in living rooms. Never will you more appreciate beautiful, plush wool under your feet than in the dead of winter. Low pile rugs have their place but it’s generally under a dining table. You don’t want the kids spilling food off the dining table and getting trapped in a high pile rug. Low pile rugs are also perfect for over carpet, under beds or on the patio (in an outdoor variety). If you are not in a position to invest in a new rug, try utilising what you have and layering rugs to achieve greater ground coverage, thickness, and visual interest. When I think of wintery materials I think of wool, velvet, cow hide, leather, sheepskin and felt. These are beautiful, highly tactile materials and demonstrate good quality that will stand the test of time, which means you can bring them out season after season. There are no hard and fast rules when it comes to pattern but large stripes or ticking (fine stripes) work in an interior scheme year round. Similarly, polka dots never get old whether in large or small scale and I love the use of tartan in throws, cushions and upholstery in the chilly months. Florals are generally favoured more in spring and summer home styling but they are certainly not banned from a wintery scheme if used with the right materials and in the right colours. When it comes to your window dressings, winter is a good time to consider how you can keep out the cold and retain warmth and in a literal way. You might be surprised by how much weather you can keep out with a thick, heavy curtain and by just how luxurious it can look especially if you are fortunate to have a home with high ceilings. For more visual inspiration in creating warmth in your interior this winter look to some interior stylists and designers whose aesthetic denotes a wintery mood year around, such as Abigail Ahern, Greg Natale, and Gabriel Hendifar. Get inspired and create a space that feels like a safe cocoon or a big bear hug, a place that encourages you, your family members and guests to curl up and hibernate, possibly to not emerge until Spring. See yourself as creative, left-of-centre and truly unique? A career in Interior Design may be perfect for you. Read expert career tips and advice from Australia's leading Interior Designers here.